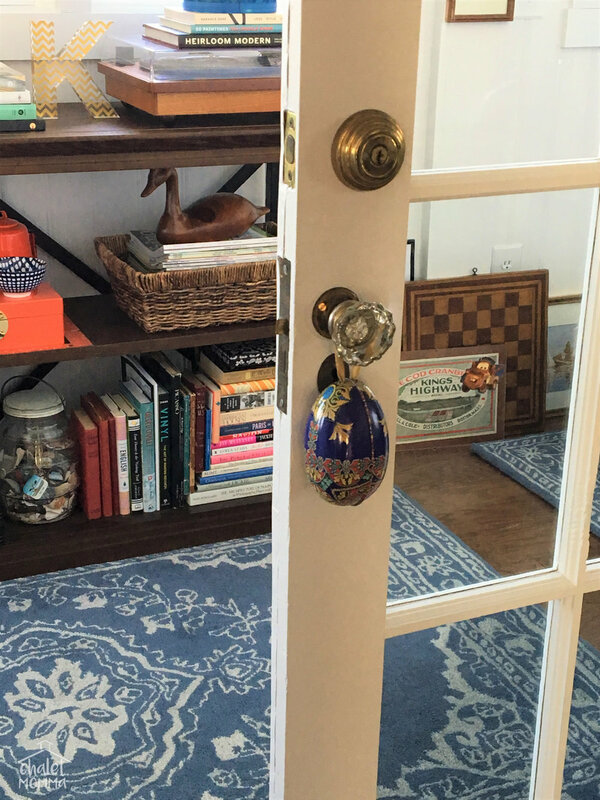 when i think of Easter decor - of course there are bunnies - i picked this cutie up last year. i do like to have a bowl of chocolates handy. 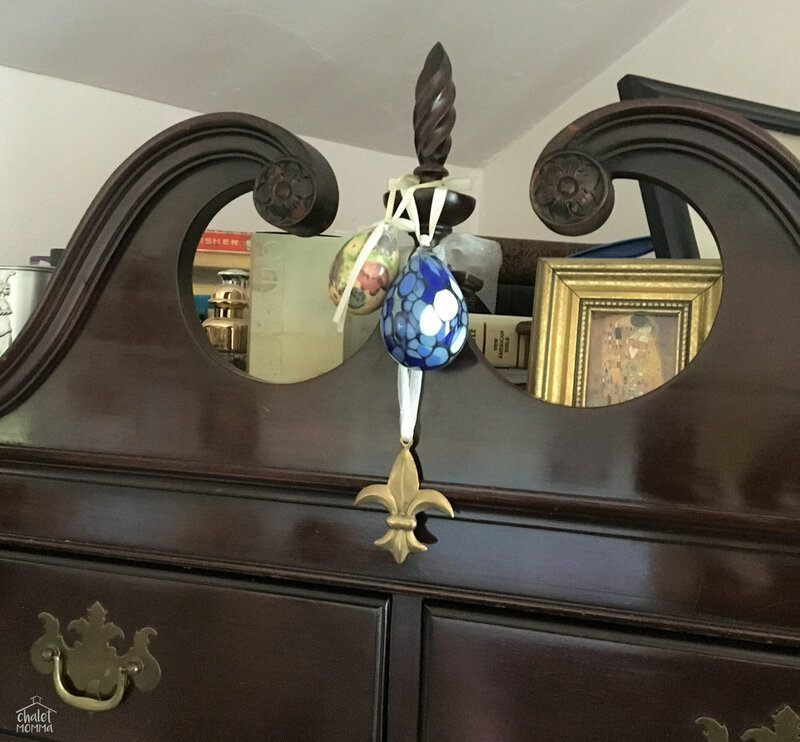 for me though i've always loved eggs - these are hanging from the top of my highboy dresser and i've had them both quite a long time. Eggs have traditionally symbolized new life, fertility and rebirth and are inextricably linked to Easter. these made of paper mache are charming. 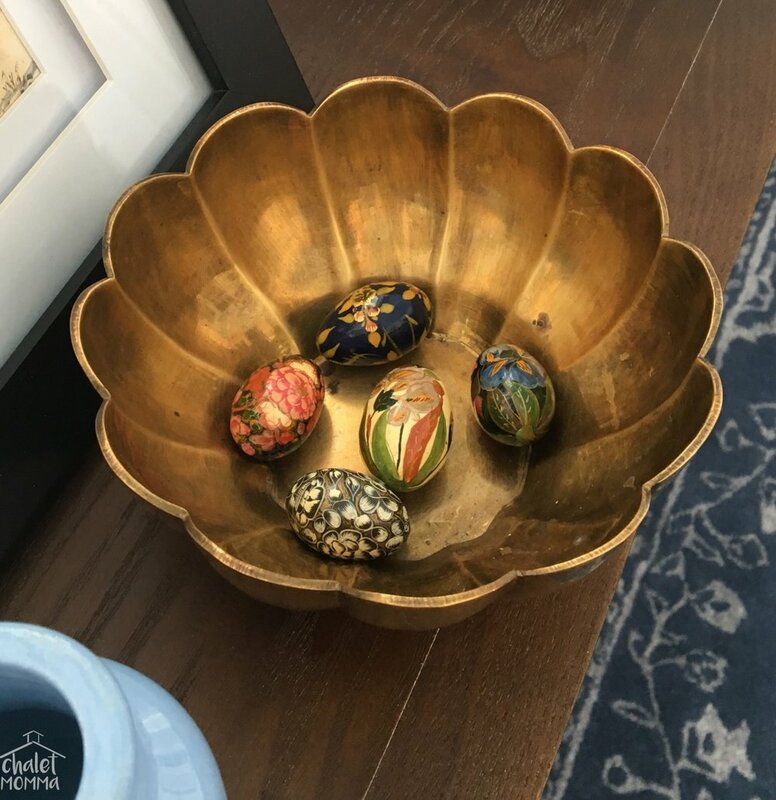 my absolute favorites are these delightful metal eggs based on Faberge designs. 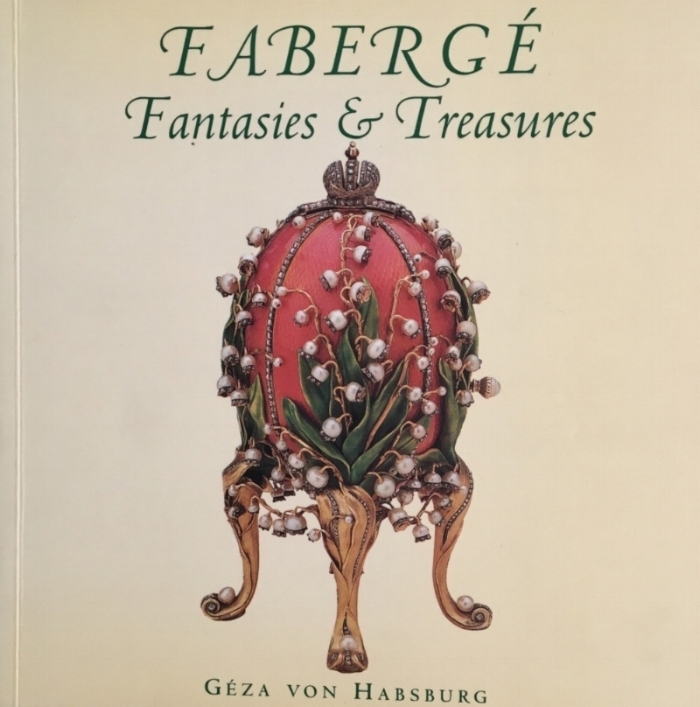 The House of Fabergé founded in 1842 in St. Petersburg, Imperial Russia. 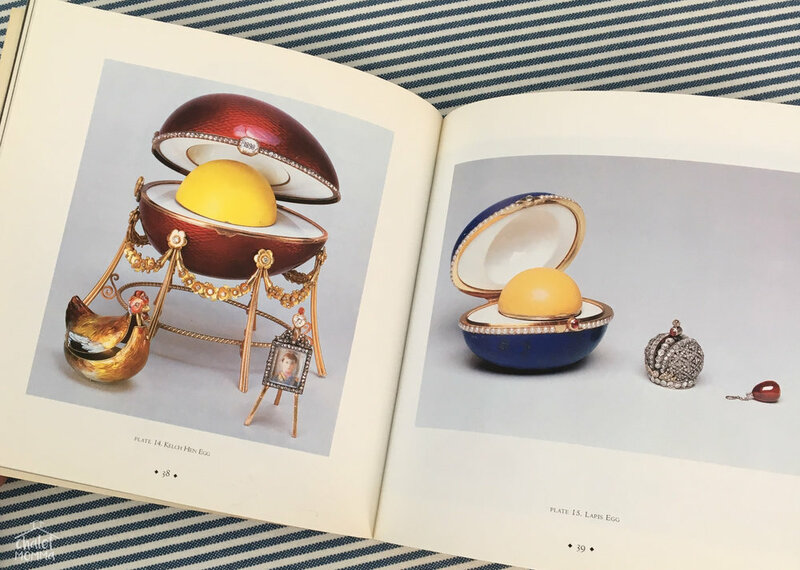 The firm is famous for designing sumptuous jewel-encrusted Fabergé eggs for the Tsars of Russia; along with other elaborately jeweled creations. an image of the master Carl Faberge sorting gems. 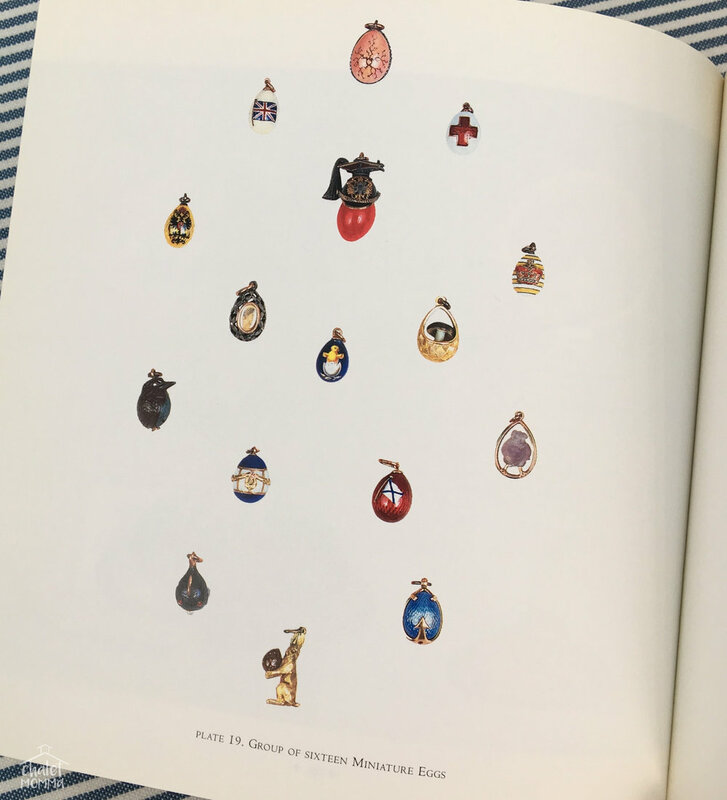 images from the 1996 Faberge Exhibit i attended at the Metropolitan Museum of Art. i purchased this book after viewing the exhibit. some other touches from around the chalet. these blue speckled wooden eggs were Rita's - i love the juxtaposition of them in this modern bowl. this egg was a gift filled with chocolates from my sister. the sideboard festooned with decor of the season. i'm wishing so very much for spring. this image of my cherry blossom is from April 2017.
hoping your world is warm and lovely.